Now Available! 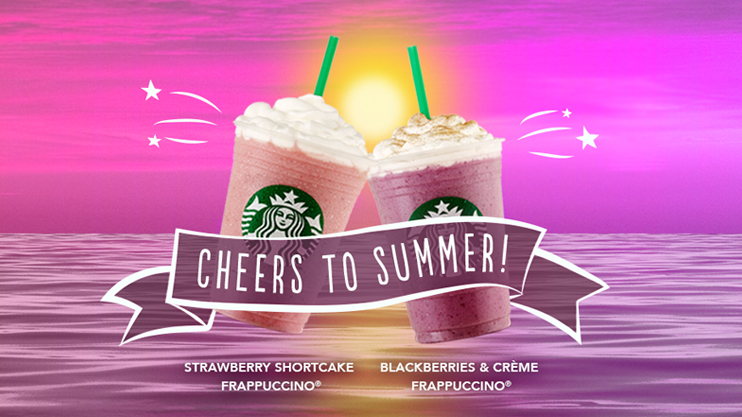 Starting Today at Starbucks, get these Limited Edition Sunshine Inspired Flavours till September 7th. Starting August 27 to September 7, the new Blackberries & Crème and Strawberry Shortcake Frappuccino blended beverages will be available for a limited time in participating locations. The Blackberries & Crème Frappuccino® is a blend of blackberries, vanilla bean, milk and ice, topped with whipped cream and sprinkle of cinnamon dolce topping. The Strawberry Shortcake Frappuccino® is a blend of strawberries, strawberry juice, vanilla bean, hazelnut syrup, milk and ice, topped with whipped cream.